SRINAGAR: The closure of the Srinagar-Jammu highway in the past five days has cost Kashmir economy around Rs 475 crore. According to the state finance department data, on an average Rs 95 crore worth goods and raw materials are imported to Kashmir per day. However, the closure of the highway for days together due to inclement weather often leads to the stoppage of supplies, making the goods to rot on the road. Eventhough, Srinagar-Jammu highway closure is felt by all segments of the economy, Mutton and chicken dealers face a major brunt. 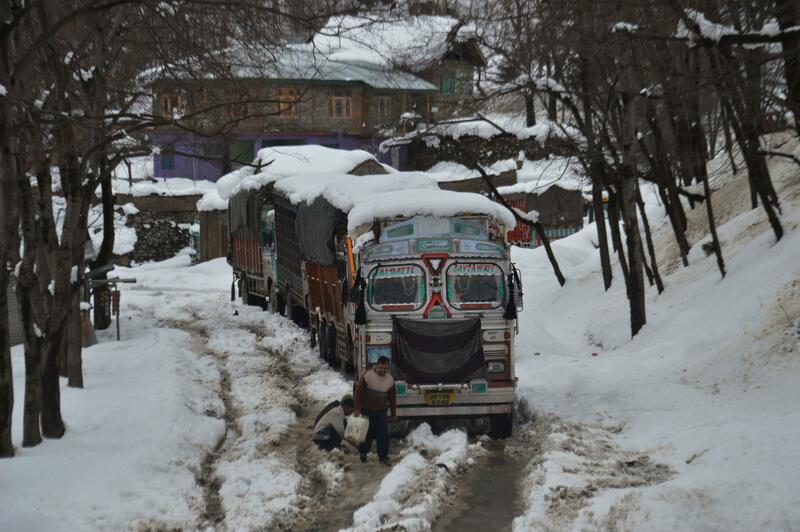 Wholesale Mutton Dealers Association, Mehraj Ganie said that during road closure most of their cattle’s on way to Srinagar die in the trucks due to cold or want of food. “We mostly import our cattle’s from Punjab and are heavily dependent on this road. During road closure, majority of cattle’s die on the road, incurring huge losses to our business,” Ganie said. The losses are same in the chicken business. President of Kashmir Valley Poultry Farmers' Association, G M Bhat said the closure of roads results in huge losses in their imports. “At least our five chicken laid trucks are stuck on the road in the past five days. And I am sure that 70 percent chickens must have died. So, in the end we will receive nothing. It is all gone,” Bhat said. The recently-released government figures say that J&K imported goods and raw material worth Rs 58,050 crore in 2017-18, of which around Rs 34,800 crore (60 percent), was imported to the Kashmir division. The frequent closure of Srinagar-Jammu highway has lead to shortage of essential commodities in the valley with escalated prices of many essentials including vegetables and fruits.